From left: Nils Persson, Swedish HealthCare, Professor Yu, Shanghai University and Dr Jörgen Borg, Danderyd Hospital. 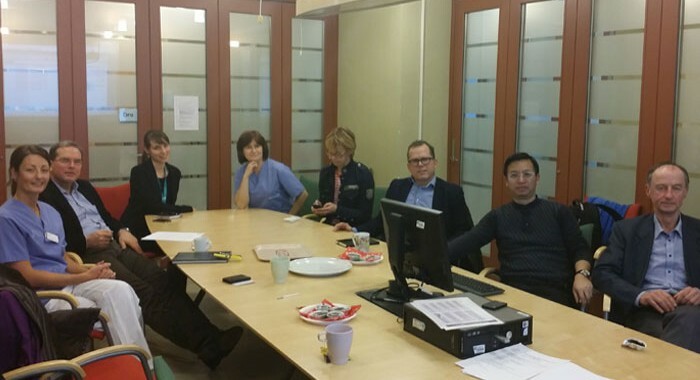 On January 29th, Swedish HealthCare arranged a study visit to Danderyd Hospital in Stockholm for Professor Hongliu Yu from University of Shanghai for Science and Technology. 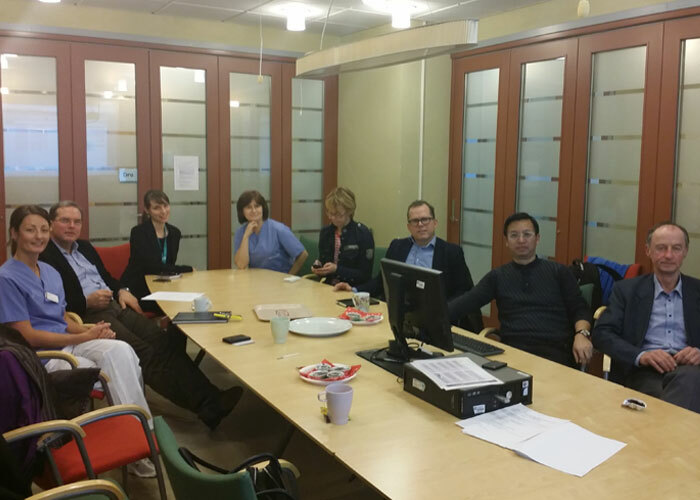 Professor Yu, who works at the Institute of Rehabilitation Engineering and Technology in Shanghai, was in Sweden to attend a conference and took the opportunity to learn more about rehabilitation in Sweden. Swedish HealthCare arranged an afternoon study visit with Professor Jörgen Borg at the Department of Rehabilitation Medicine at Danderyd Hospital. 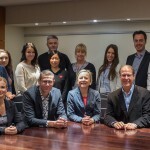 Topics of discussion included rehabilitation medicine in Sweden, rehabilitation procedures and equipment. Both the demonstration of @home, an apartment built for training of activities in daily life, and the demonstration of the Giraff robot and how it can be used in rehabilitation, attracted great attention. Overall it was an interesting afternoon for Professor Yu.